Happy holidays and all the best to you and yours for 2015 from everyone at the Stevie Awards! How has your salesforce performed this year? Have they worked wonders? Grown revenue? Grown your client base? Increased customer retention and satisfaction? Do you have individual sales teams or performers you'd like to recognize? Well we have a suggestion for you: nominate them for a Stevie® Award in the 2015 Stevie Awards for Sales & Customer Service. The final entry deadline is January 13. 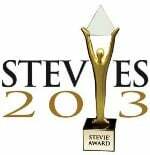 Complete details are at www.StevieAwards.com/Sales. You've got a few weeks yet in which to prepare submit your nominations to the awards. Here's what you need to do to get started and make sure your team is nominated. There's a wide variety to choose from. Find the list of them below. There are categories to recognize entire departments (by industry), specialized teams, executives, as well as the sales reps who are pounding the pavement (or the phones or keyboards, as the case may be). TIP: Ask yourself this question: What do we want to be recognized for? The answer(s) to that question will help you to choose your categories. The entry requirements are listed below on the categories list . Most categories require only an essay of up to 650 words about what the nominee has achieved since July 1, 2013. (The nominee can be an entire company, a single person, or any size group in between.) You also have the option to supplement your essay with any number of supporting materials to impress the judges. These could include video clips, images, press clippings... whatever you'd like to include to help tell the nominee's story. TIP: Read some of the past Stevie Award-winning entries to get a sense of the types of entries that score well with our judges. You'll find links to Gold Stevie-winning entries going back to 2006 on the website. The deadline again is January 13. It's easy to submit entries through the website - begin here. It will take you no more than a few minutes to submit your entries online if you've already prepared them. Email us at help@stevieawards.com at any time, or call us at +1-703-547-8389 with your questions about category selection, entry preparation, the entry deadline...whatever. We're here to help. (a) An essay of up to 650 words describing the team’s accomplishments since July 1, 2013. Recognizing sales organizations for improvements since July 1, 2013, over the prior year. Improvements in revenue, operations, and training will be considered in this category. Recognizing sales organizations for their improvements in sales growth - in revenue and/or units - since the beginning of July 2013, over the prior year. Honoring sales organizations for their innovative use of technology to improve sales operations, drive sales growth, and/or improve customer satisfaction since the beginning of July 2013. Recognizing new ideas and developments within sales that enabled organizations to implement creative selling and business development strategies, since the beginning of July 2013, to win new customers and grow revenue. The sales department categories recognize everyone who works in sales in your organization, regardless of their role or location. (a) An essay of up to 650 words describing your sales department’s accomplishments since July 1, 2013. 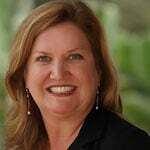 Jill Rowley of Eloqua won the Gold Stevie Award for Sales Representative of the Year in the sales awards categories of the 2013 Stevie Awards for Sales & Customer Service, the world's top honors for sales, business development, contact center, and customer service professionals. (The entry deadline for the 2014 edition of the awards is November 13 - get your entry kit here.) Just before the award was presented in February 2013, Eloqua was acquired by Oracle Corporation . Jill talked to us about the profound effect on her career that these two events have had. 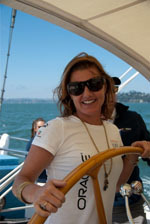 After winning the Stevie Award for Sales Representative of the Year in the 2013 Stevie Awards for Sales & Customer Service, Jill Rowley had to ask herself: “Where do I go from here?” She had reached the pinnacle of her profession by being recognized in a leading international awards competition. With a trophy case that was already stuffed with awards, Jill realized that what she really wanted to do moving forward was not to win more awards, but to focus instead on helping others to achieve similar success. Seeing that Jill’s expertise in “going social” had resulted in extraordinary sales at Eloqua, Oracle tasked her with educating their sales force in her award-winning methods. She has now designed a social selling training program for Oracle sales staff, instructing on the why’s and how’s of leveraging social media platforms like LinkedIn and Twitter. Having evangelized the why, Jill then moves on to the how. For this, Jill has been put in charge of Social Selling & Social Business Evangelism and Enablement at Oracle, for which she is devising a series of training modules. In less than a year, Jill has transferred from the small but successful company that was Eloqua—where she was the top sales rep and self-styled EloQueen--to the mega-company that is Oracle, with a worldwide salesforce of over 20,000. Jill feels she is making real progress in her profession because she is helping other sales people to “go social.” Not only is she helping to change the sales culture at Oracle, she is driving that transformation by being a thought leader in the space of social sales. You can read more about Oracle and Eloqua on the Oracle Eloqua Blog. After six years in Consulting and thirteen years in Sales at Salesforce.com and at Eloqua, Jill has made an about-turn in her career: She now leads the Oracle Social Selling initiative. Jill is currently responsible for evangelizing and enabling Oracle's global sales team on the Why, What, and How of Social Selling. As an award winning, top selling sales executive, Jill utilized social media in her selling process. She mastered the art, and as a result is one of the most referenced experts in today's shifting world of B2B sales and marketing. From LinkedIn to Twitter to YouTube to SlideShare to Facebook, Jill practices the ABCs of Social Selling: “Always Be Connecting and Curating” quality content. Jill defines the modern sales professional as an information concierge, a content connoisseur, an insights professional, and a mini-marketer with a personal brand. Dan Seidman, CEO of Got Influence? in Barrington, Illinois, USA, won the Gold Stevie® Award for Sales Training or Education Leader of the Year in sales awards categories of the 2013 Stevie® Awards for Sales & Customer Service, the world's top business awards for contact center, customer service, business development, and sales professionals. Here Dan discuses sales excellence. This is a test, not a quiz. Quizzes are easy. This is a test that will give you a true measure of your understanding about sales skills. This is a test. The right answers will improve your performance throughout the rest of your selling career. What is the #1 PROBLEM encountered by anyone who sells anything? What is your RESPONSIBILITY on a sales call? Now that you’ve written your answers, let’s work our way through each of these questions. 1. Who are you REALLY competing with? No, it’s not you—though that might be the second smartest answer. In training sessions I’ve had salespeople tell me: It’s the cheapest competitor; the rep with the best rapport; the most persistent rep; or even the rep who offers the best bribe. Here’s the answer: You REALLY compete with the best sales professional that your buyer has ever encountered. Think about that. Someone before you set a standard by which you and all others are measured. This might include how professionally you dress; your skill with words; your ability to sell without pressuring; your ability to ask the right questions; or your skill at reframing the issues. Or it might reflect on your ability to quantify whether an investment in your solution will provide a worthy return on that purchase. Pack these together and you get the Best of the Best. That’s the framework for the buyer. This buyer is probably not consciously comparing you against such elevated standards, but he or she somehow just remembers the experience of sitting down with that true selling pro. So you’d better not be using old sales tactics that everyone’s heard a hundred times. You’d better truly distinguish yourself from other reps in order to gain a commitment from the buyer. What do I like best about this answer? Outstanding selling pros will think: “Hey! I can be the one who sets the standard for all those other miserable reps out there. I can be the best.” And it gives them the incentive to work hard to outperform everyone they’re competing with. How well do you want to attain selling immortality? You’ll need great training, or at least to adopt new strategies. Try reading about, listening to, and viewing the latest sales techniques, and hang out with the best sales pros you can find. 2. What is the #1 PROBLEM encountered by anyone who sells anything? The most popular response to this question? No money. Others respond that the #1 problem is no training, bad prospects, or the inability to reach the real decision-maker. The real answer: The #1 PROBLEM you encounter is that you are chasing poor prospects. Mention this to a room full of sales managers and their heads start nodding vigorously, like a freeway full of cars with bobble-head dolls during an L.A. earthquake. Wrong. People really do hate to hurt your feelings, even if you’re a total stranger who has wrangled an appointment out of them. A prospect who acts nice, then tells you that they’ll get back to you, is not a good thing. It’s a disaster. So if someone says: “I’ll think about it and let you know,” you know. Chasing poor prospects is the biggest time-waster in the sales world. This problem can be eliminated: Simply identify your perfect prospect and only court a prospect who fits that profile. Who is your perfect prospect? Just look back at some of your best existing clients. Identify how you sold to them; what their needs were; how long it took to get to the real decision-maker; how quickly they made a decision. If you and your team can clearly identify a perfect prospect, you’ll stop chasing the poor ones. 3. What is your RESPONSIBILITY on a sales call? Here are some answers that are correct, but NOT 100% of the time: selling the buyer; educating the buyer; discovering the buyer’s needs; handling objections; finding the decision-maker; identifying the time frame for a decision; gaining an idea of the available budget; and so on. The answer that is true 100% of the time? Your RESPONSIBILITY on a sales call is to GET A DECISION. If getting a decision is your key focus, it drives all your activity and language choices. Here’s the how and why of decisions: You get a YES, that’s good—you sold them. You get a NO, that’s good—move on. You get a next step, that’s good—set the appointment for that next step. You get an “I’ll think it over,” that’s BAD, that’s not a decision. So preempt that problem by asking your buyer to commit to a yes, no, or the next step. This is the single most important concept any sales pro can learn and put into play. That’s just a snapshot of how this would work—and work it does, rather well, in fact. Think about how well your organization’s sales training measures up to these standards. You can produce smarter sales pros by teaching them concepts that mediocre reps won’t know. Remember, to improve performance you must change behavior, and each of the three best responses requires a behavior change to put them into action. Have some thoughts on these ideas? Please share them with me. Dan Seidman is CEO of Got Influence? and one of the top sales coaches in the United States. He is the author of the 600-page Ultimate Guide to Sales Training, (Pfeiffer, 2012), and six other books, including The Secret Language of Influence and Sales Autopsy! Dan is also a consultant to the world’s leading training organization, ASTD (74,000 members), where he is helping to design a global sales-training program. Dan is a former athlete with three Olympic gold medals for playing on the U.S. basketball team. He is married and lives in Barrington, Illinois. 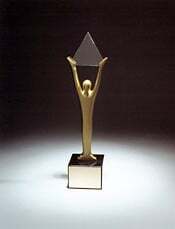 The following professionals participated in the preliminary-round judging of the 2013 Stevie® Awards for Sales & Customer Service, the world's top business awards for contact center, customer service, business development, and sales professionals. Their average scores determined the 2013 Finalists in the customer service awards, contact center awards, and sales awards categories. This year's Stevie Awards winners will be announced at our annual awards gala at the Paris Hotel in Las Vegas, NV, on Monday February 25. Learn more about the event and reserve your table today. We thank our judges for their enthusiasm, time, and insights. 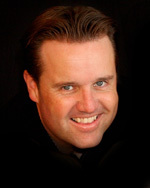 Robert Jeppsen is the Senior Vice President of Commercial Sales at Zions First National Bank in Salt Lake City, Utah, USA, and is the Chair of the final judging committee of the Sales Individual categories of the 2013 Stevie® Awards for Sales & Customer Service, the world's top business awards for contact center, customer service, business development, and sales professionals. (January 15 is the last day that late entries will be accepted for the 2013 edition. All organizations and individuals worldwide are eligible to submit entries for sales awards, contact center awards, and customer service awards. If you haven't yet done so, you can request your entry kit here and it will be emailed to you right away.) Here Rob shares some useful tips on beating the competition. As one of the top sales executives for a growing financial institution, what top 3 tips would you give to sales individuals seeking to make their mark in sales? Understand that HOW you sell is far more important than WHAT you sell. Products are copied almost immediately, especially in financial services. While products will be copied, experiences can’t be. Making the client experience your priority, from the initial sales process on, is the most sustainable competitive advantage you can have. Discover the process that works in your marketplace. With the right process you can do things that would otherwise be impossible. Process gives you predictability in sales, which may be the most desirable thing a business can have. This is particularly important in complex sales environments like financial services. For example, in commercial banking, studies show that it takes a minimum of 6-8 calls to a potential client before they actually get serious about considering the new banker as a viable option. Here’s the problem: Most bankers quit calling on a prospect after 2-3 calls, the perspective being that there is no opportunity. In reality, at this point a banker is only 25-30% of the way to the stage of being seriously considered. Process allows you to have indicators that not only help to win more business, but also provide confidence about where you are in each transaction. Once you discover it, the right process can be a huge and ongoing competitive advantage: less than 10% of salespeople currently use a milestone-based process as part of their regular approach to winning and retaining business. Products don’t matter. My first law of sales is simple: “Products have no value. Products only derive value.” Rather than have your call preparation be about product knowledge and product fluency, my suggestion is to learn the breadth of problems a product can solve and why those problems matter. Nobody likes a “Press Play” salesman who just switches on a product pitch. If you can be fluent and comfortable in having conversations about the impact—preferably a dollarized impact—of solving a business problem, you will find that your sales cycle time shrinks and your win rate will rise pretty quickly. One of the most important skills a salesperson can have is fluency and confidence in deriving value. The better you are at this, the more successful you will be. The most important news topic to me right now is U.S. fiscal policy. New tax laws will have a huge impact on business owners and will create significant changes in our business environment. With change there is always opportunity, and I want to be sure to be close to the changes that are inevitably coming in the short term. We saw a lot of business owners move into “hunker down” mode as the election drew near. The jury is still out on the impact to business owners and their ability to grow. As a financial institution that has been the #1 SBA lender in the Western United States, the economic environment for business owners is the most significant issue right now. A lot of clients are asking us for insights into what the implications will be for them, and I want our team to be able to provide meaningful advice. I would be a basketball coach. The most fun I’ve had came when I was a volunteer coach for a local high school’s varsity basketball team. It was in a less-affluent part of our area and many of the boys had never had the experience of learning the relationship of preparation and success. They hadn’t had a winning season since 1972. But we had a winning season that year, and qualified for the state tournament…a quick turnaround. I am in sales because I love the competitive element. It gives me that thrill of competition I used to have as an athlete. But as much fun as it has been to achieve my own success, I have found the most fulfillment when I guide a team to a point where the collective group wins instead of just me. A much larger challenge is a much more fulfilling one. Coaching a NCAA D1 team would be about as good as it gets! I love winning. At Zions, we have a big team and big challenges. Last year, every single one of our 10 regions hit goal. We had 31% growth in a down economy, and we beat our 2007 production numbers with fewer people. There are big challenges in our industry right now that require big plans and big execution. I like taking the NOT out of CANNOT and helping people realize they can do things that others simply don’t think is possible. I like to go out and do things that are just too inconvenient for my competitors. It is a ton of fun and it makes everything worthwhile. 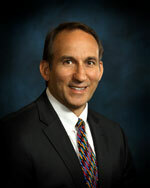 Rob Jeppsen is the SVP of Commercial Sales for Zions Bank. With over 16 years of direct sales and sales leadership experience, Jeppsen has worked in publicly-traded organizations, privately-held organizations, and has successfully led sales teams in the technology, pharmaceutical, and financial services sectors. 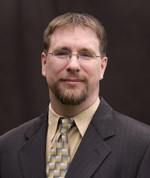 Jeppsen is a regular speaker at conferences nationwide and at universities in the Western United States. He is the creator of the Zions Bank Business Performance Series, a tool offered to Zions' clients interested in building a world-class sales system. The course was taken by over 500 businesses in the 2010-2012 period.